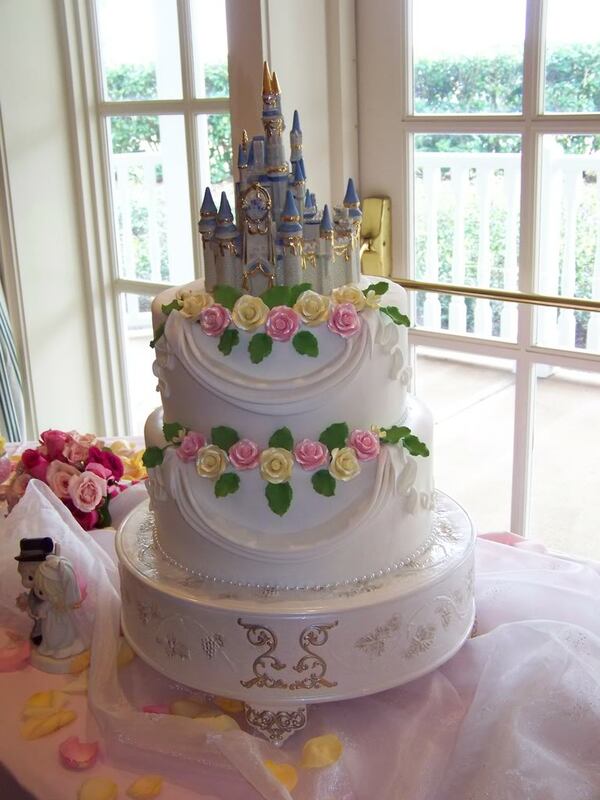 Disney's Cinderella represents the ultimate love story and is a symbol for the the perfect Fairytale wedding. Browse through this selection of the most exquisite and elaborate Cinderella Castle Wedding Cake Pictures that will inspire you with great ideas for your Fairytale wedding. Multi-tiered Cinderella Castle Wedding Cake in soft metallic blue, tiers are separated with staircases. 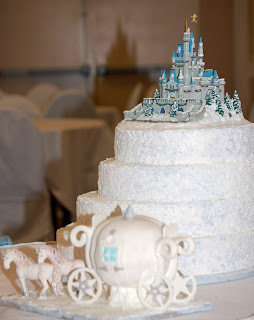 Pure white and gorgeous, completely edible Cinderella Castle Wedding Cake. Four tier Cinderella Castle Wedding Cake with the tiers separated over different sections with plenty of lovely flowers. 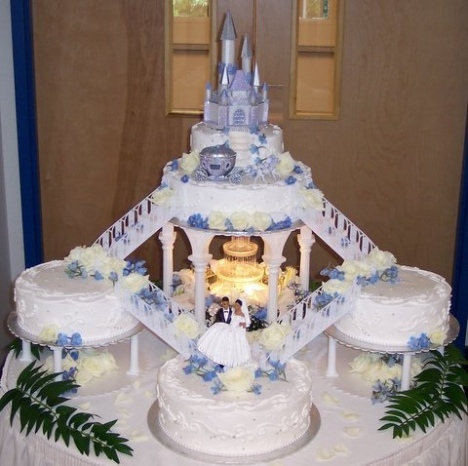 Large round four tier white Cinderella Castle Wedding Cake with castle in blue hues and Cinderella carriage at the base of the cake. 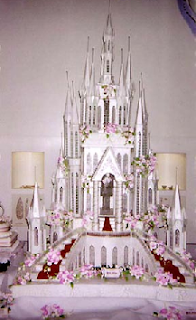 Romantic and elaborate white Cinderella Castle Wedding Cake with pink flowers. Porcelain Cinderella Castle with lovely white two tiered cake decorated with pink and yellow sugar roses. 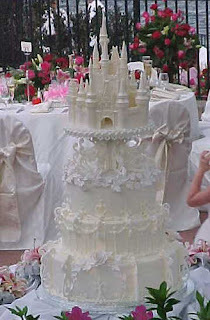 Amazing pure white Cinderella Castle Wedding Cake with exquisitely ornate decorations over five tiers. 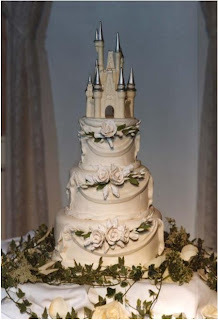 Amazing traditional white Disney castle wedding cake fit for a princess. 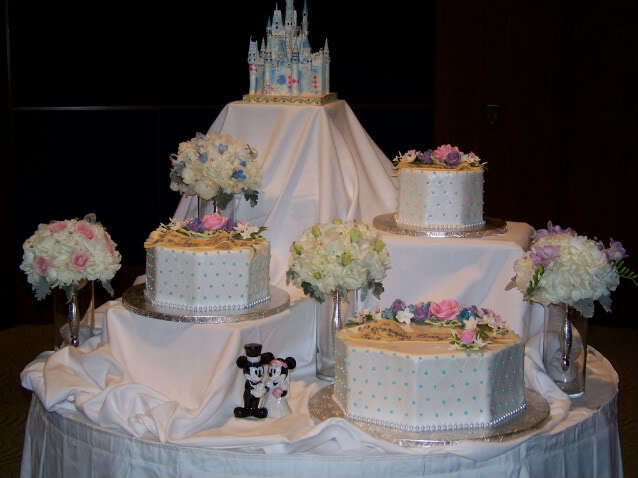 Cinderella Castle Wedding Cake in blues and whites with Mickey and Mini Mouse cake topper placed at the base of the cake. 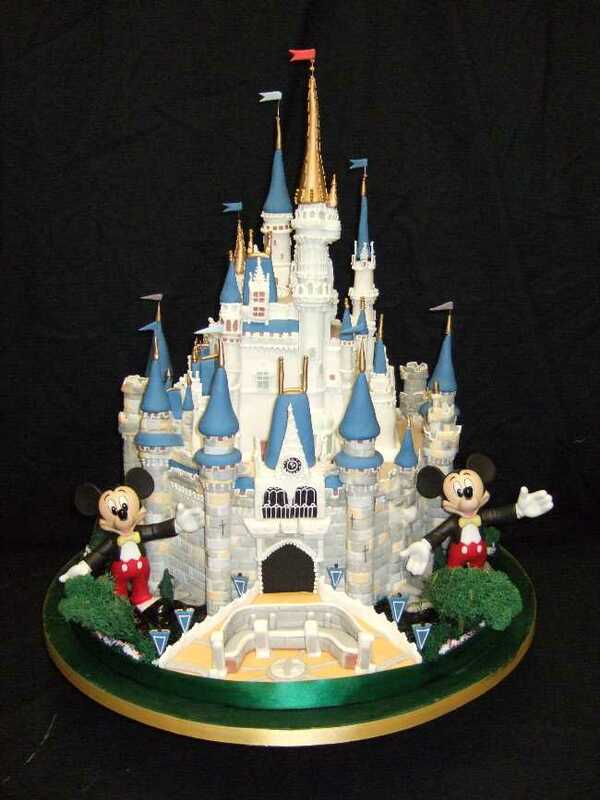 Great for Disney enthusiasts. A similar more elaborate version of Disney's Cinderella Castle. 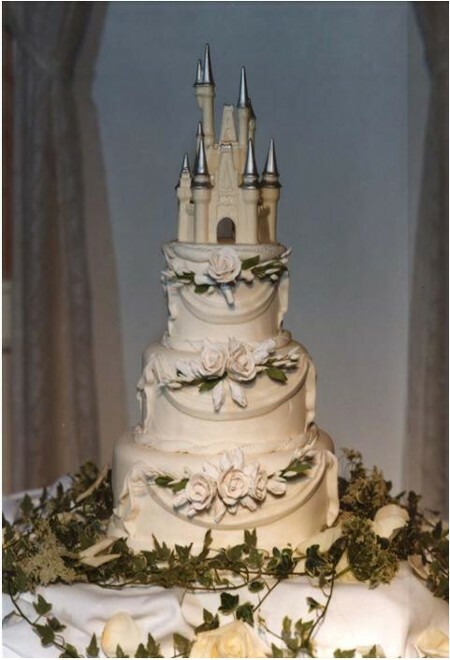 A true fairytale wedding cake in white and silver with a Cinderella's castle cake topper. 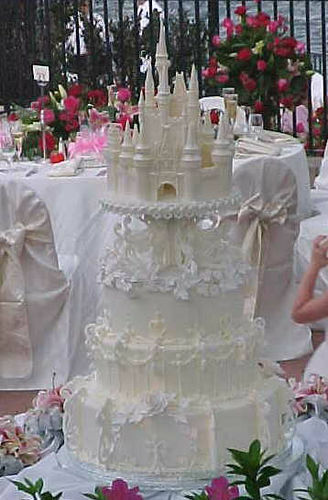 And last but most definitely not least, a dream Cinderella's Palace wedding cake. Where would I find the castle that is on Porcelain Cinderella Castle with lovely white two tiered cake decorated with pink and yellow sugar roses. 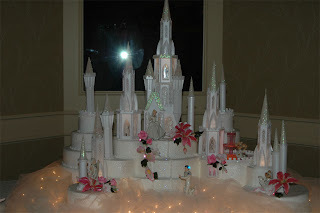 Where can I find the solid white castle cake topper pictured in the 7th and 8th pictures? 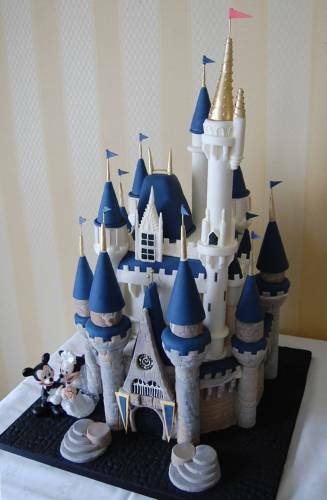 One cake is described as amazing Cinderella castle and the other amazing Disney castle. 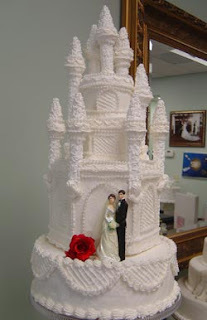 Any suggestions on where to locate the castle? Could someone tell me where to PLEASE find the kit or tell me what you did to make this cake****Romantic and elaborate white Cinderella Castle Wedding Cake with pink flowers. 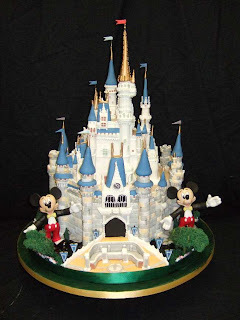 My Niece has asked me to do this cake for her on May 21st 2011 and I have spent hours on the internet looking for this kit. 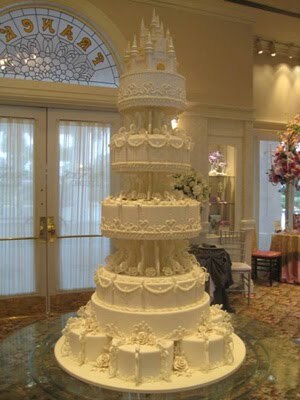 I would be so grateful for any information!!! go to wiltons and type in romantic cake castle and they sell a 32 piece set.